The surf’s always up at Kommetjie Longbeach! It’s easy to spend days lapping up the sunshine watching the surfers, kite-surfers and body-boarders but how about doing it yourself? No better place to start than Kommetjie. Grab a wetsuit and a surf or body board from the Kommetjie Surf Shop (021 783 4804) at Post Office House, Huskisson Way, Kommetjie, and take to the waves. You’ll be surprised how quickly you get the hang of it! 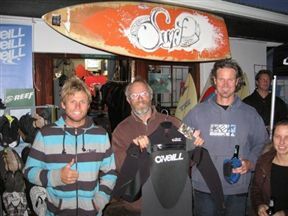 Kommetjie Surf Shop is 0.8km from the centre of Kommetjie , the nearest airport 35.9km (Cape Town International Airport).